Set aside a little 'you' time this lunch time. 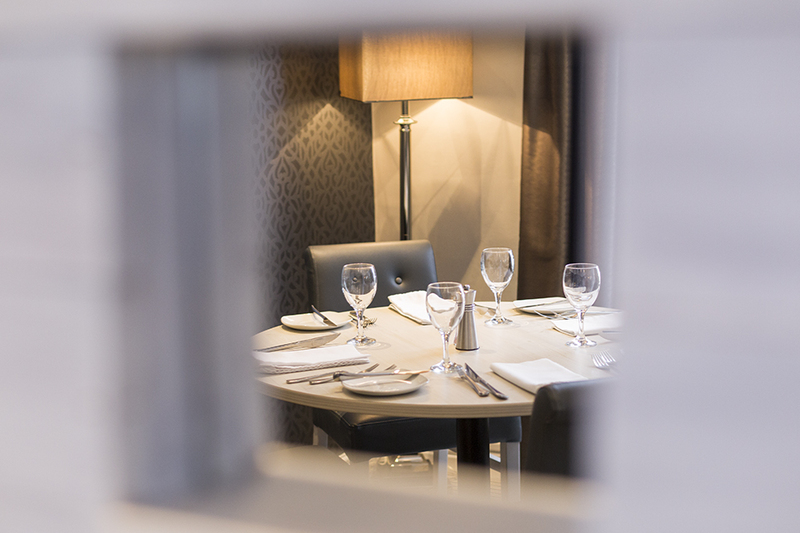 For £37.50 you can tuck into a delicious three-course lunch when dining from the extensive lunchtime menu. Perfect for a lazy day. Please note this offer is not valid during December. Book online for free text confirmation or call 01332 424 308. Enjoy a touch of sophistication for your Sunday Lunch outing. 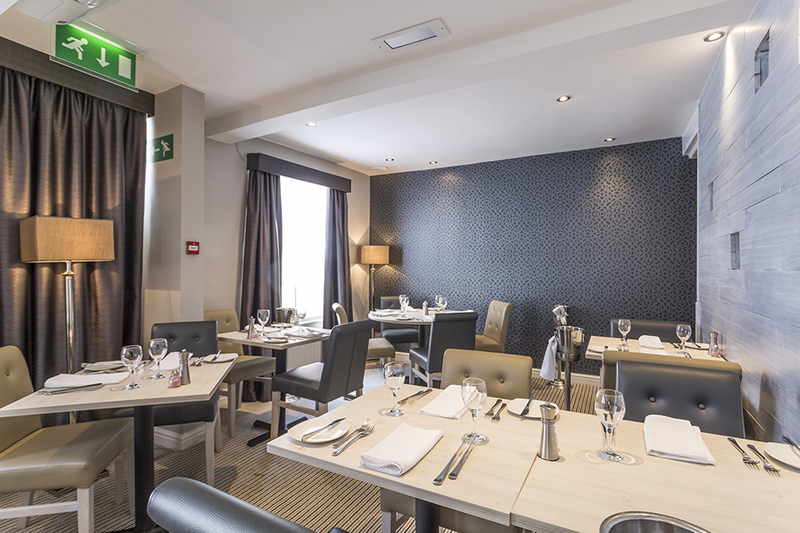 At the Bay Tree you can enjoy a 3 course lunch for £24.50. Two sitting are available, either 12pm or 4:30pm. Advanced booking is required as this is a popular choice. Book online for free text confirmation or call 01332 424 308. Whether you are celebrating or just feel like treating yourself, a three course champagne breakfast at the Bay Tree is the perfect way to start the day. For £26.50 per person you can enjoy a glass of champagne or buck's fizz followed by a choice of hot and cold starters and mains. This offer is available Wednesday-Friday from 10:30am-11:45am and Saturday from 10:30am - 2pm. Book online for free text confirmation or call 01332 424 308. The meal was amazing. Really good friendly service. However didn’t have much atmosphere. A really enjoyable dining experience. Another thoroughly excellent meal. Great atmosphere. Friendly, helpful staff. Food brilliant. Roast beef cooked to perfection with delicious vegetables. A lovely light pudding with lychees and then their homemade truffle and coffee. Best eating place in Derbyshire! Fast friendly service! Food top standard. Very nice as usual, thank you. A beautifully cooked and pptesented Sunday lunch. Excellent value for money. The staff are welcoming and professional. Our go to place to eat. Excellent food and service. A great venue for a celebration. Birthday gathering. Decent food, good service, good ambience. Not sure it’s for couples though. Myself and two friends had a champagne breakfast. The meal was exemplary as was the service. We try to do this as often as we can especially for birthdays etc. Really couldn't fault it. Have booked a Christmas meal there for mid-December. Always a quality dining experience. Really enjoyed its lovely food and atmosphere and wasn't rushed and excellent service made my birthday day special. I will be booking again for another special occasion treat. My birthday meal at The Bay Tree was first class, yet again. Always excellent food, service and ambience. Thank you! From the welcome to delivering the food, the service is wonderful. The waiting staff are attentive but allow time between courses. The food is well presented and tasted delicious. We had haddock and salmon, both of us thoroughly enjoyed our food. The tables are well spaced so you don’t feel to close and the atmosphere is friendly with light and airy decor. An outstanding little restaurant. A gem find. Food and service unrivalled in this part of the world. Well worth a visit! Very enjoyable meal as always at the Bay Tree. This Champagne Breakfast was a present from my best friend for my 50th. Absolutely perfect! This was the perfect venue for my birthday. Joined by friends and family we enjoyed a fantastic meal with great service. The restaurant is light and modern and gives a lovely ambience. Perfect......thanks to all staff. Super meal as always, however not been for a while, but wonderful food. Service was a bit slow at times but we were made very welcome by Pascal and we were made a fuss of by David as it was my daughters birthday. I’d like to say a big thank you to them both for making us feel special especially our daughter. Definitely recommend going. A fantastic dining experience to celebrate my sisters birthday. I lovely evening out, delicious food. The food was excellent though just a little more of it would have made it perfect. Decor is fab. The bay tree is superb the food is incredible too. A beautiful restaurant where we were made to feel comfortable. Service was excellent and discreet. It was so good we book again for the champagne brunch. Can’t wait to return. We booked a lunch for four scheduled for 12.45. When we arrived the table was not ready and we were asked to return half an hour later. Champagne breakfast customers had overstayed, but why they hadn’t been asked to vacate their table was a mystery. No apology was given for the delay ; overall service seemed stressed and disorganised. Dirty tables still with crockery, toast and breakfast stuff greeted us on arrival at 1.15. Lunch food was pleasant, but the enjoyment of the occasion marred by the surroundings. So sorry I can’t mark higher than this. 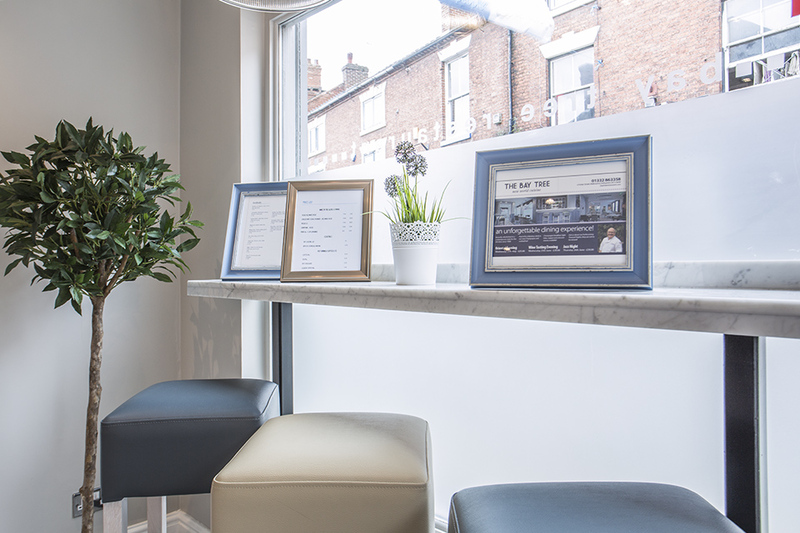 Advice to The Bay Tree: like many high class restaurants do, advise clients that there’s a two hour table slot and be firm with people. 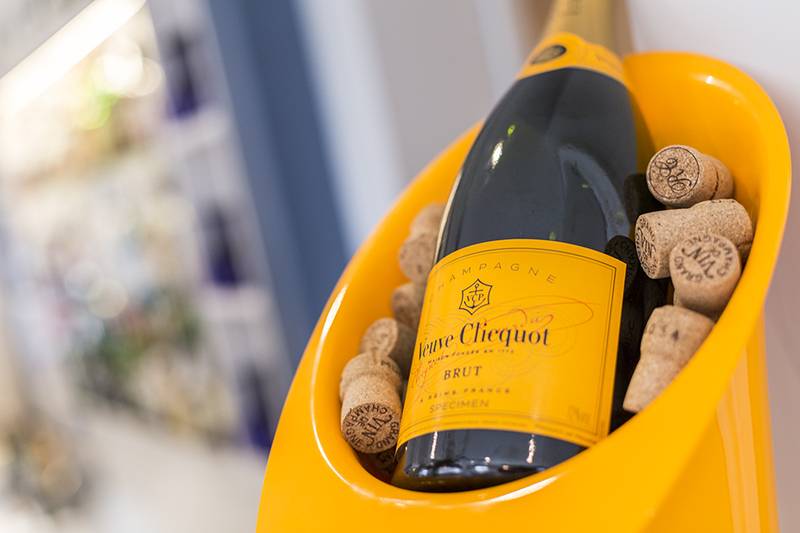 When there is no table ready, ask customers to be seated in the reception area and give them a free glass of fizz. Would work wonders for customer service and encourage repeat visits. In our case we won’t be returning. 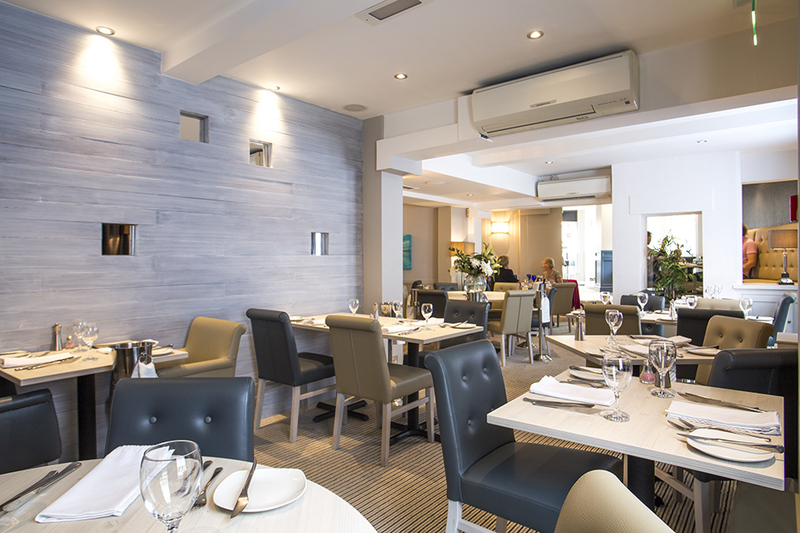 The Bay Tree is in a lovely location and is enhanced by the delicious tasting food. The staff were pleasant and attentive. We shall be going back to try the Champagne breakfast. Excellent meal, champagne breakfast with two friends. Service was first class, and food was wonderful. Thank you. It was many years since we had eaten here and, after our recent experience, cannot understand why we waited so long. All around excellence. We were a party of four and everyone enjoyed the food, the ambience and the service. Will be back very soon. The meal was delicious and beautifully presented. Only issue was a slightly heavy hand with the chilli on the prawns in Asian broth which I loved but friends found a little too much. Had a lovely meal here, the place was packed so we were slightly cramped in at the end of the restaurant. Food delis ions and filling. It's one of those places that have a huge local following and can relax knowing you will receive great food at a decent price. Staff nice would live to go again. Had a lovely meal here, the place was packed so we were slightly cramped in at the end of the restaurant. Food delicious and filling. It's one of those places that have a huge local following and can relax knowing you will receive great food at a decent price. Staff nice would live to go again. Four of us had lunch on a Thursday. Very attractive restaurant, with good use made of a rather awkward space. Friendly and helpful greeting by staff, and attentive, but not pushy, service. Food was good, rather than outstanding (we were all on the lite lunch menu), but a very enjoyable time for all of us. Would recommend it. The drinks were a tad expensive and personally I don't like fixed service charge being added automatically, I prefer a discretionary approach! Very enjoyable experience at The Bay Tree! Only thing that let it down was the Eton mess pudding not up to bay tree normal standard. This has to be one of the very best places in the area. Menu is first rate making choices very difficult. Won ton soup superb and the amount of lobster in the seafood pasta was astonishing. Staff have exactly approach very friendly but not overbearing. As usual the champagne breakfast was superb in a wonderful atmosphere served by excellent staff who were attentive but not intrusive. Lovely food and a great atmosphere, it was very busy so a little slow to take our order and they forgot to deduct the deposit when we got the bill but soon put that right. Overall a great experience and I would definitely go back in the future! Had a wonderful lunch for a friends birthday. Food excellent, service excellent, had a lovely afternoon nothing was too much trouble. Whilst the food can be said to be excellent, there was a distinct lack of ambiance. For such a small, intimate restaurant, the lack of background music and the loud parties who were aloud to remain rowdy did somewhat spoil the occasion - our first and probably last experience at The Bay Tree. Fantastic at the Bay Tree! Back very soon! Only disappointment was the lack of scallops on the starter menu! First class in every other way! Having rated the Baytree 10/10 on a previous visit we were very surprised by last nights meal. After 20 minutes I had to ask for a drink to which the manager said they were busy due to a hen night being in. I have no issue with that but have more than 3 staff on if that's the case. The scallop starter lacked individual flavours due to an overkill of coriander, the sirloin steak was more like a ribeye in taste and appearance, but the sticky toffee pudding was to die for. Too slow, not enough staff, disappointing food, expensive drinks, certainly not worth the 10% service charge added. It's a shame because I previously rated the Baytree right up there. Having eaten our starters, we waited 20 minutes to have our plates cleared and to be offered a second drink. Not the usual standard we have experienced on past visits. It will not stop us going again as the food is excellent. Could not wish for a more relaxing friendly atmosphere. Staff were competent and nothing was too much for them to do. We were definitely the most important people there and so was everyone else. Thoroughly enjoyable experience at the Bay Tree, excellent location to celebrate our 48th wedding anniversary! We had the champagne breakfast, and can say it was the best we have ever had and the food was of the finest. The staff were very friendly and efficient. We will definitely be returning again. Thank you Bay tree. Lovely meal as always at The Bay Tree! Friendly staff! Excellent meal and service. A delight to be there. We enjoyed the total experience, service efficient without being intrusive, quality and choice of food excellent. Only difficulty with desserts was all contained cream, problem solved by waiter offering sorbet. Tables quite close together, a rather loud lady unfortunately sitting behind us! We do however very much look forward to our next visit. The only thing that let the food down at the Bay Tree is the fact that the menu said vegetables served with all meals, but when the vegetables came, there were only boiled new parsley potatoes. Very disappointed that there were no carrots, broccoli, cauliflower etc. As I then had to ask and pay for chips to go with my steak. One of the steaks they offered came with chips, but unfortunately not my particular cut! Really enjoyed everything about the meal. Would highly recommend it to anyone. My lamb was cooked to perfection and the Malbec was one of the best I have had. Beautiful meal at the Bay Tree, menu offered a good range of choices. The goats cheese 'cheesecake' was superb and the sorbet with fresh fruit another highlight! Absolutely fabulous. Food and wine were gorgeous. Service excellent. Definitely the best meal we have had this year by far!!?? Fantastic service, made to feel very welcome, an abundance of choice on the set menu and brilliant portion sizes throughout all the courses at the Bay Tree. The whole experience at the Bay Tree was wonderful. The food was exceptional and the wine was great. Can't wait to pay a return visit! This was our first time experience at the Bay Tree, we will be returning. The staff were excellent! An excellent way to start my husbands retirement. Friendly and cheerful service at the Bay Tree. We will repeat the experience soon. the whole evening was exceptional, from the food to the service we received! We would definitely recommend this restaurant to others! One thing that keeps me coming back to Bay Tree is the excellent quality of food - not only does it taste amazing, the presentation and effort gone into it cannot be faulted. I would recommend trying the English beef fillet. An excellent start to the day with a champagne breakfast. The Bay Tree certainly know how to do it right. What a wonderful surprise when you enter the restaurant, much more than I was expecting. So nice to have linen table cloths and attention given to detail. A very warm welcoming restaurant with friendly prompt staff, looking after your every need. 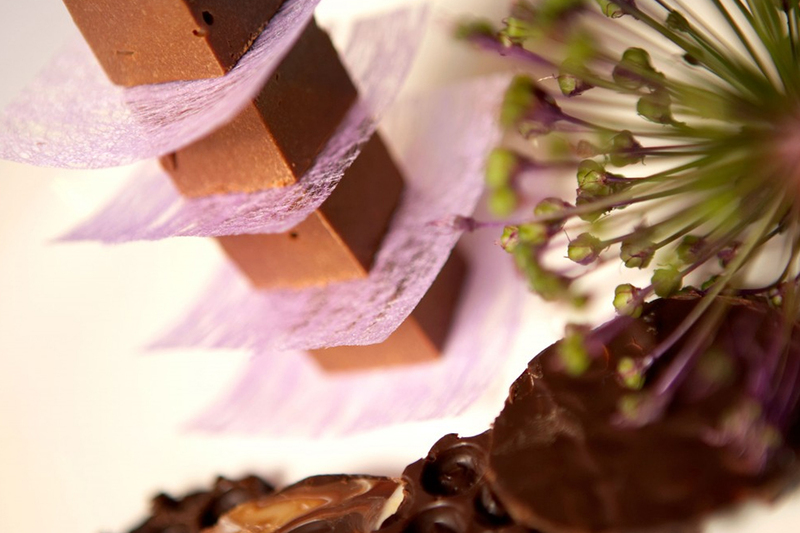 Attention to detail is superb with lovingly prepared home cooked food sourced locally. Well worth a visit. champagne breakfast was a great way to start the day, only wish I could do it every morning! Celebrating my birthday, I returned to bay tree. I wasn’t let down as the food and service were really good. The polite and helpful staff were on hand to cater for our needs. I would definitely recommend it as the relaxing environment has always kept me happy. First opening its doors in 1988 the Bay Tree has an enviable reputation for serving ‘new world cuisine at its best’. 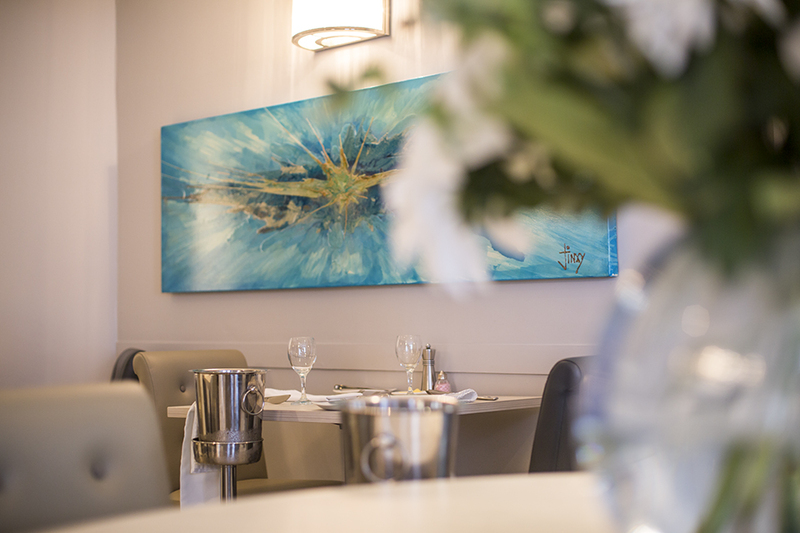 Nestled in the heart of the ancient market town of Melbourne in Derbyshire, the venue effortlessly couples modern European cuisine with traditional sophistication and contemporary décor to create a comfortable fine dining experience. 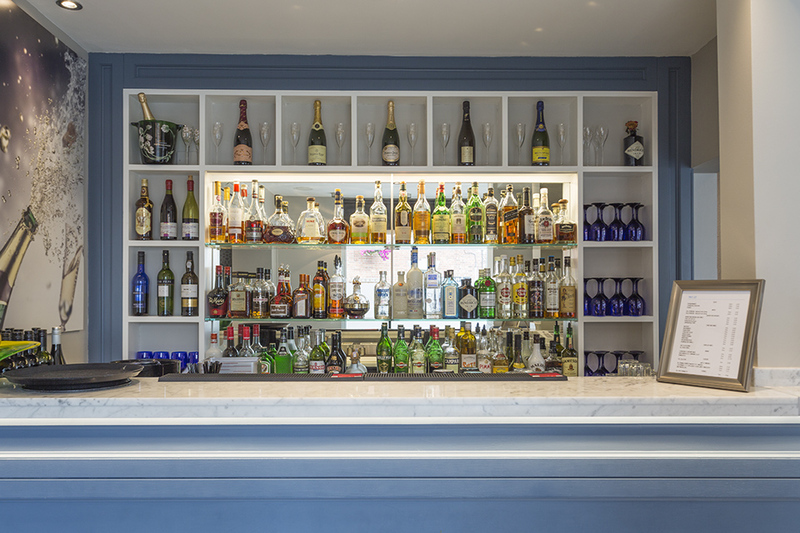 Open all day from breakfast right through to dinner, the Bay Tree is suitable for dining throughout the day and many choose to kick-start their mornings with an indulgent champagne breakfast. The restaurant is absolutely stunning and blends modern fixtures and fittings with the typical table presentation of a fine dining restaurant complete with immaculate white linen tablecloths, polished silverware and polished to perfection wine glasses. No detail is over-looked, ensuring that you are able to simply sit back and bask in the luxury on offer. Co-proprietors Vicki Talbot and Head Chef Rex Howell are committed to delivering faultless food made using the very best local Derbyshire produce. The duo have been refining their suppliers list for over twenty years and will only ever use ingredients of the highest quality to ensure that your dining experience is perfect every time. The entire menu has been well-thought out and showcases the natural flavours of each ingredient thanks to a superb understanding of flavours and textures. Highly recommended entrees include, when available, pan-fried fresh scallops presented on a bed of grilled fresh asparagus, and the homemade ham hock ballantine complemented by a puree of butternut squash, candied walnuts and an apple and cucumber salad. Mains include the deliciously tender rack of English lamb served with a a mixed mushroom, shallot confit and an oxtail croquette; and pan-seared barramundi garnished with a potato rosti and celeriac remoulade. 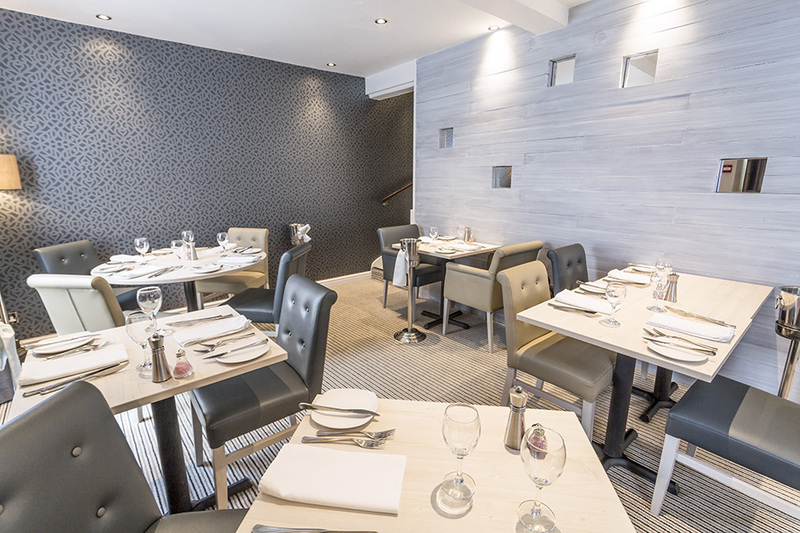 With a fantastic selection of light lunch options including a full a la carte lunch and a delectable ‘just pasta’ menu as well as a to-die-for Sunday roast, you won’t fail to be absolutely blown away by the food on offer. 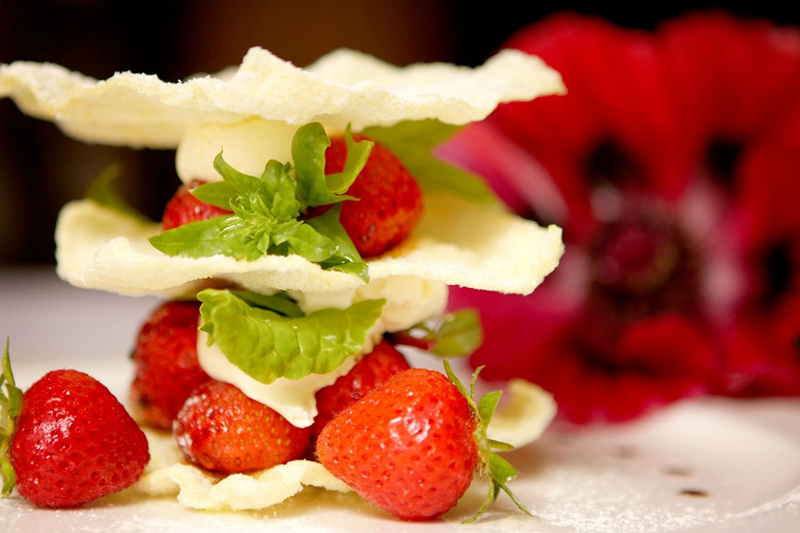 If you are looking for fine dining without the pretence, look no further than the Bay Tree in Melbourne, Derbyshire. The care and passion that the team put into the food materialises on the plate in the form of exquisitely balanced and presented dishes that will have you visiting time and time again. Below you will find an example of some of the dishes we feature on our Champagne Breakfast menu. Please be aware that we vary our menus on a regular basis. Set aside a little 'you' time this lunch time. For £37.50 you can tuck into a delicious three-course lunch when dining from the extensive lunchtime menu. Perfect for a lazy day. Please note this offer is not valid during December. 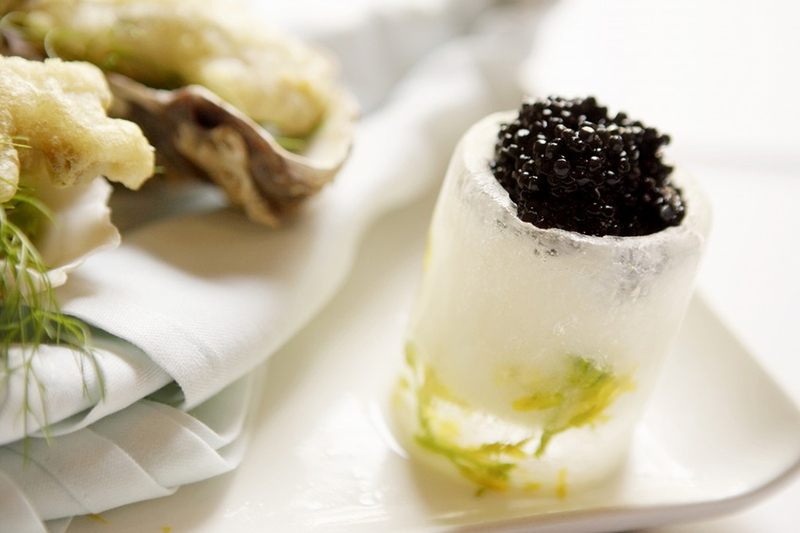 Enjoy a touch of sophistication for your Sunday Lunch outing. 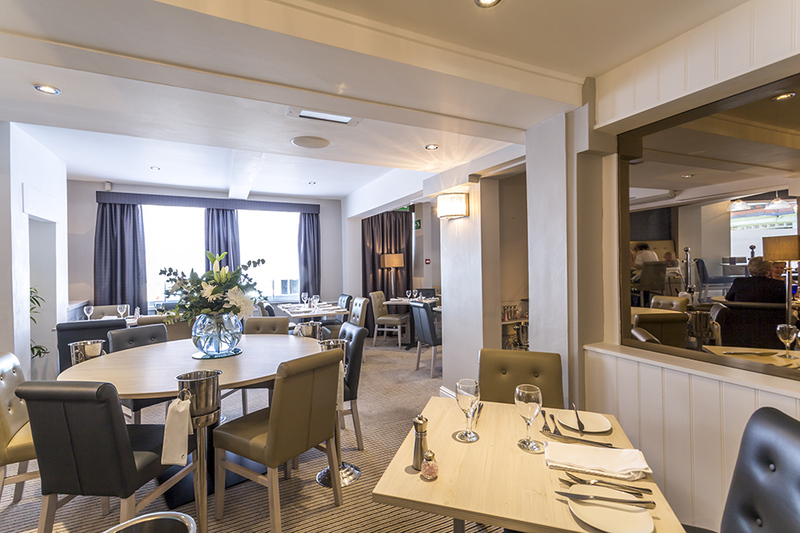 At the Bay Tree you can enjoy a 3 course lunch for £24.50. Two sitting are available, either 12pm or 4:30pm. Advanced booking is required as this is a popular choice. Whether you are celebrating or just feel like treating yourself, a three course champagne breakfast at the Bay Tree is the perfect way to start the day. For £26.50 per person you can enjoy a glass of champagne or buck's fizz followed by a choice of hot and cold starters and mains. This offer is available Wednesday-Friday from 10:30am-11:45am and Saturday from 10:30am - 2pm. Sunday Lunch at The Three Horseshoes Inn!